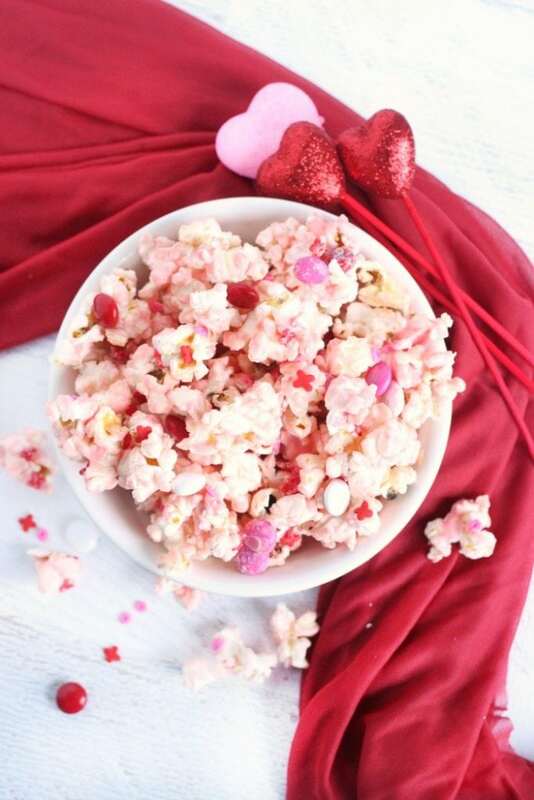 This Vanilla Butter Valentine’s Day Popcorn recipe is the perfect easy holiday treat! 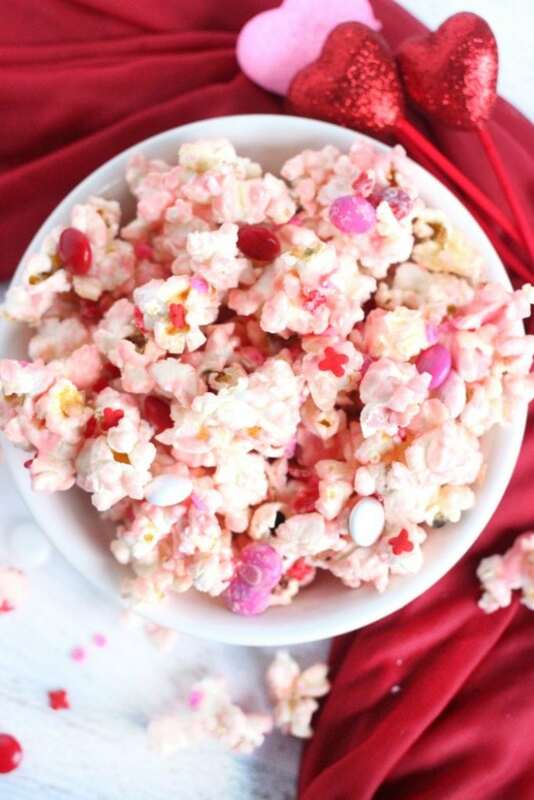 Sweet and salty, it will hit all the snacking notes you love. 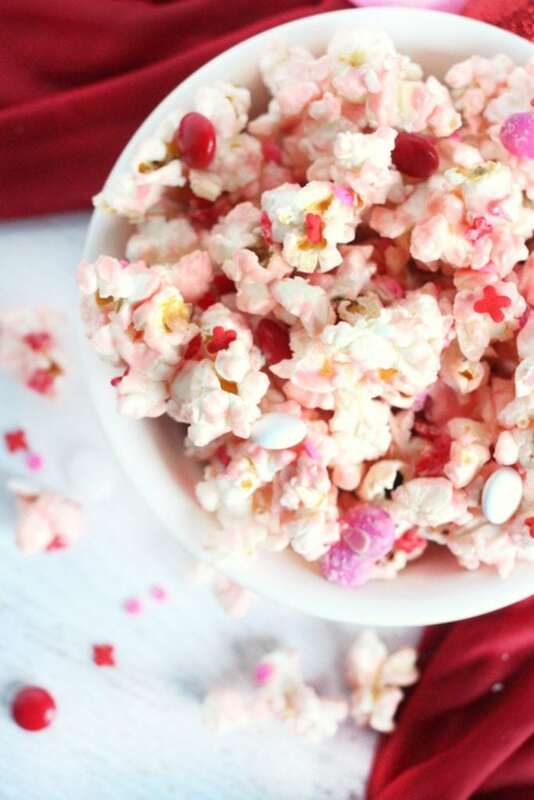 Vanilla Butter Valentine’s Day Popcorn will help salve your Vday woes. Valentine’s Day stresses me out. For real. Is it just a couples holiday? Is it for everyone you love? Do I need to get on Pinterest and put together dozens of handmade punny cards with treats for the kids and their friends? 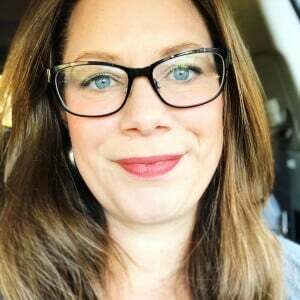 Will my husband remember? 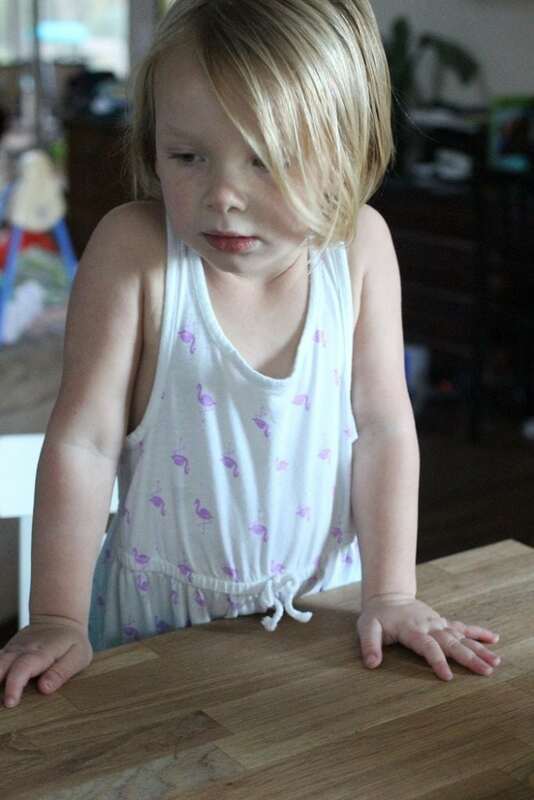 Josie watched the process very intently and offered to taste test the ingredients at every stage. It’s important to have an official tester. Especially for complicated recipes like this one. Hah! Candy melts are my new favorite thing. 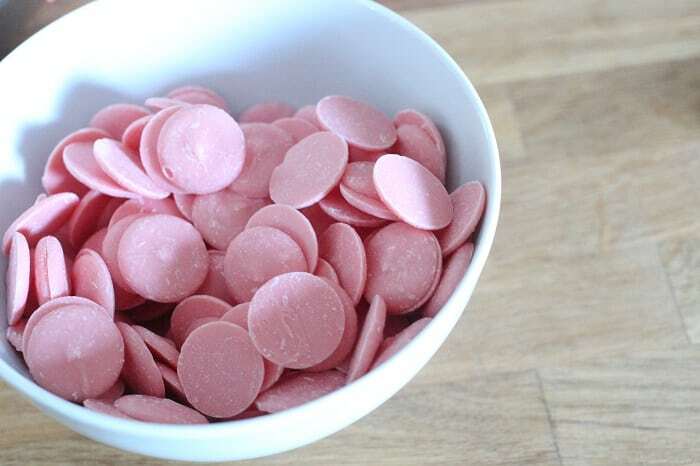 They taste delicious and can be used in so many ways. 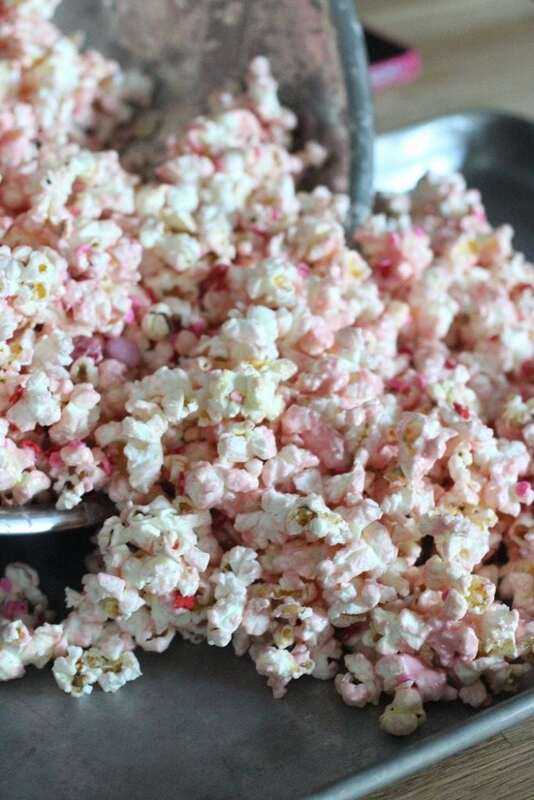 Here they give our salty buttery popcorn a layer of sweet creamy vanilla. They also add a fun pop of color! 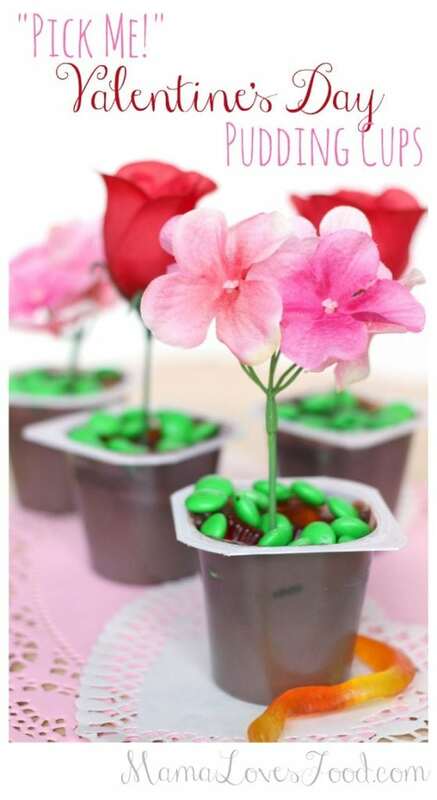 I find myself day dreaming of new ways to use candy melts. It’s a thing. I mean, seriously though. It’s a lot to think about and feels like there will inevitably be some let down. So, I’m making a blanket I LOVE YOU ALL statement and apologizing in advance for any of my Valentine’s Day shortcomings. 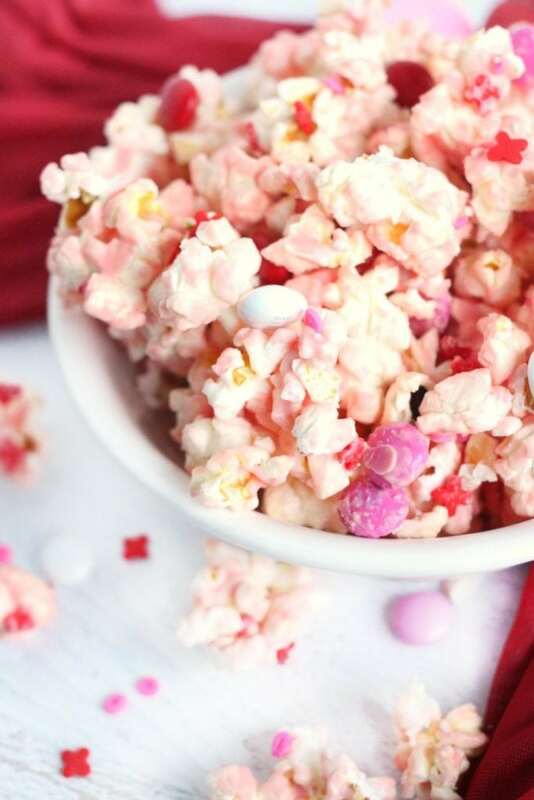 And as a peace offering, I’m gonna put this crazy good popcorn recipe here for you to enjoy. Crazy. Good. 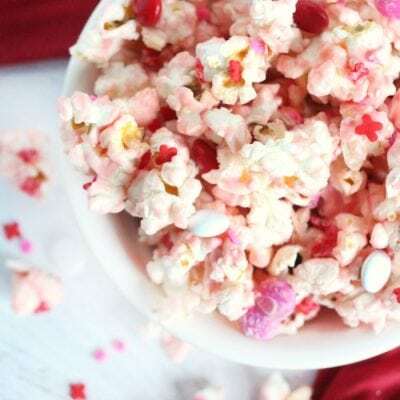 I hesitated when naming this recipe, because really it doesn’t have to be for Valentine’s Day (although, it does make a great V-Day snack or gift). 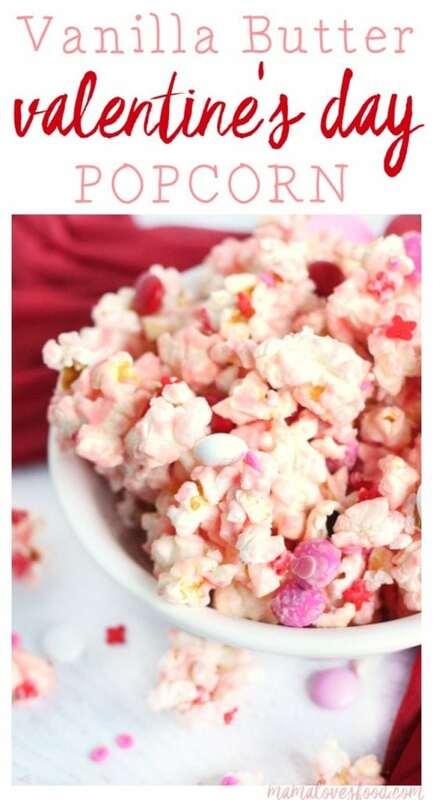 But truly, in it’s present form you could serve it at a little girl’s pink princess party, or make it for your special someone just because! Alternatively, you could switch up the colors to make it appropriate for nearly any occasion! 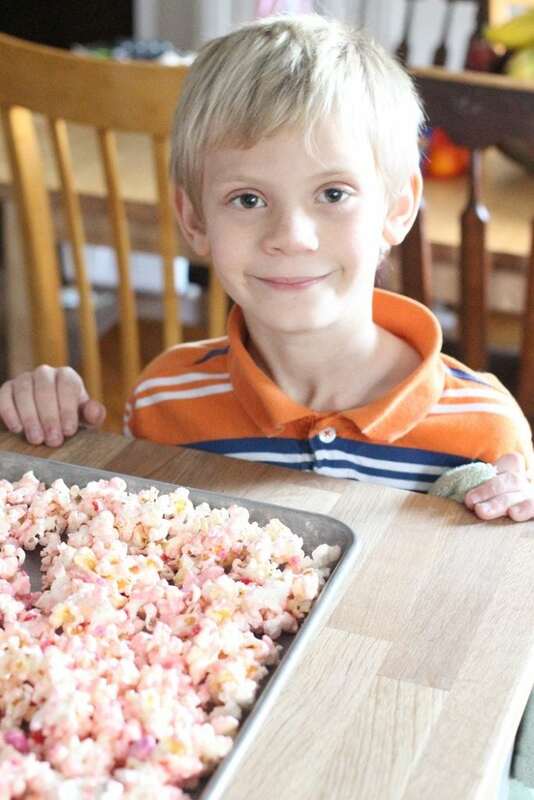 We do a colorful version when the kids have friends over sometimes with white candy melts and multi-colored sprinkles! The hardest part of this recipe is definitely the waiting. Not that the wait time is long. But, waiting. 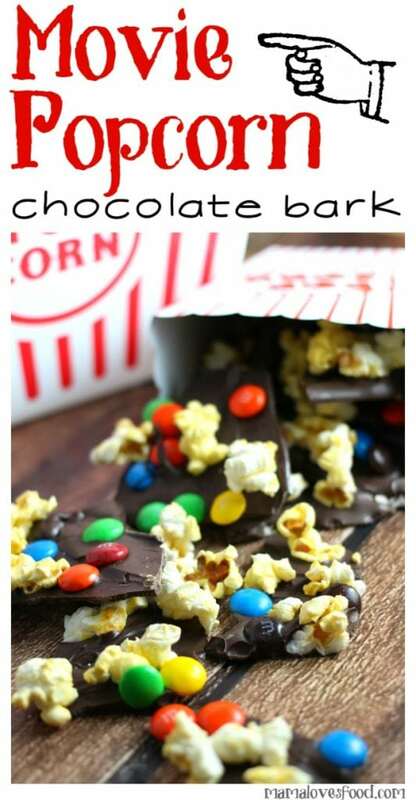 Shop our Amazon affiliate links for items used or inspired by this recipe! 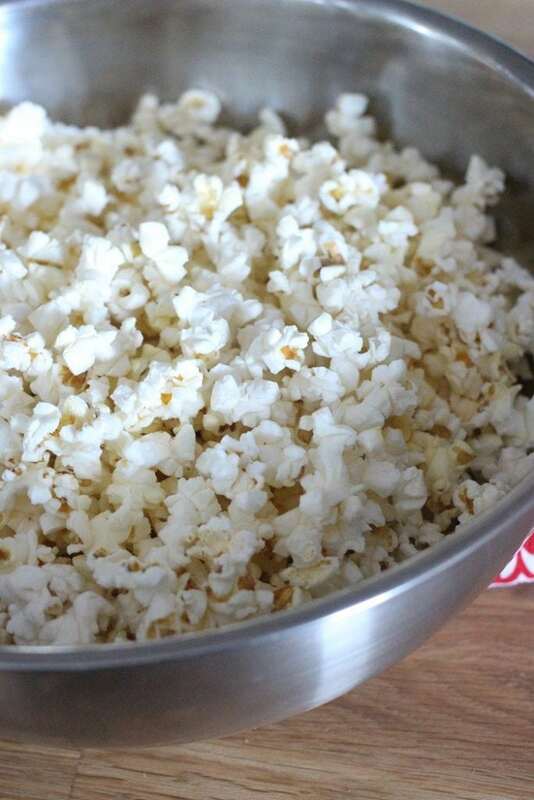 Place popped popcorn in a large bowl, set aside. 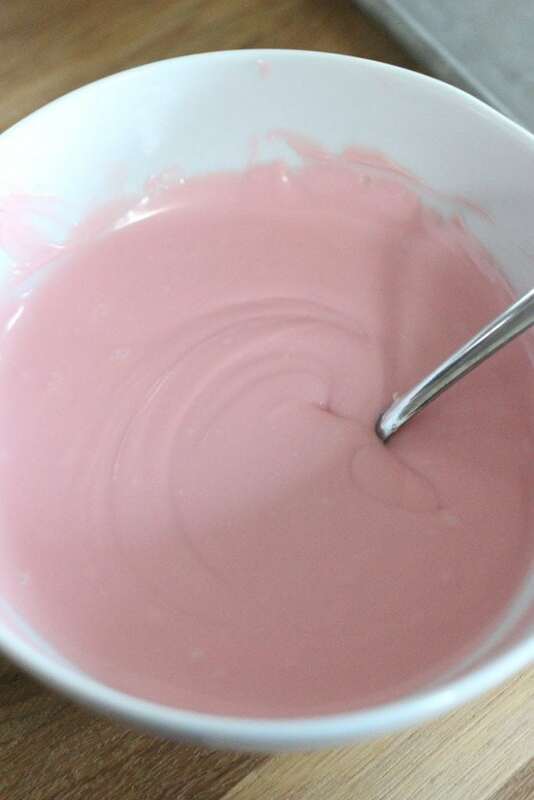 Melt candy melts in the microwave, cooking on high for 20 second increments and stirring in between. 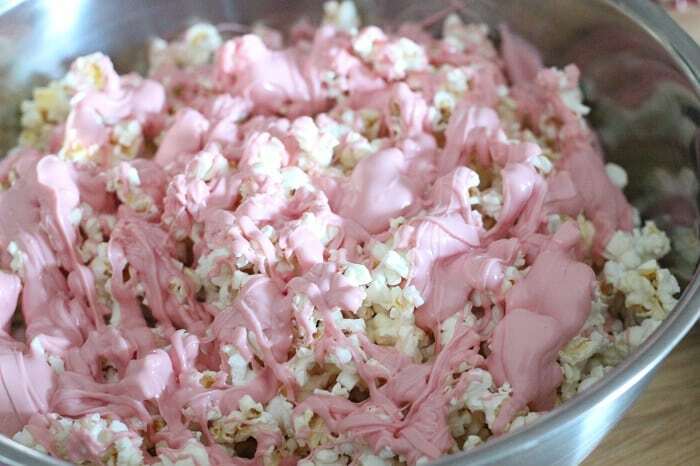 Pour melted candy melts over popcorn and toss to coat. 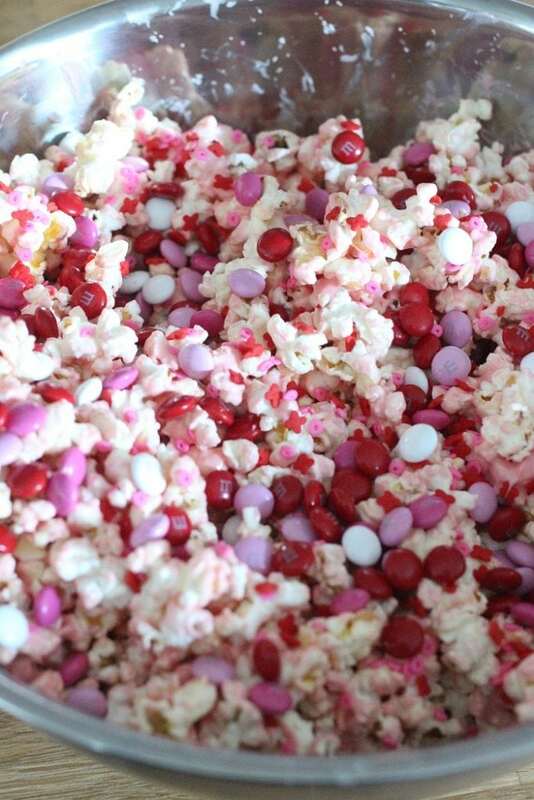 Add candy and sprinkles, then toss some more to evenly distribute. 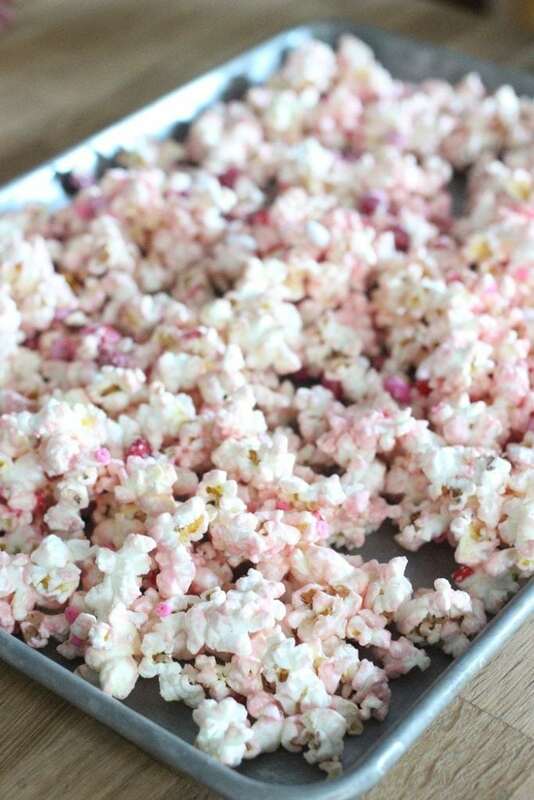 Spread popcorn out on sheet pans and allow to set in a cool dry place for about 15 minutes. Break into manageable sized pieces and ENJOY!